While the Haight-Ashbury eventually became known as the center for hippies, acid, and acid rock music, it was also the center of many artistic efforts, including painting, poetry, performance art, comics, posters, and literature of all kinds. 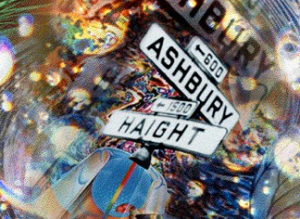 Video: Haight-Ashbury in the Sixties! 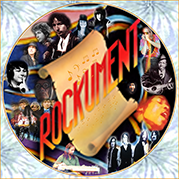 Excerpts of the CD-ROM released in 1996, featuring interviews, clips, light shows, poster art, original music, and narration by Allen Cohen and Raechel Donahue. From 1964 to 1968, there swelled a gigantic wave of cultural and political change that swept first San Francisco, then the whole United States, and then the world. What was fermenting in the Haight-Ashbury section of San Francisco was a powerful brew that would ultimately stop a war. As any history book will tell you, the Haight’s popularity grew as the Beat Generation in San Francisco was dying out. Many of the Beats, such as Allen Ginsberg, crossed over, but a younger generation gravitated to the Haight-Ashbury district, where the rents were cheap. Many were students at nearby University of San Francisco, UCSF, and S.F. State University. Others were musicians (such as the Grateful Dead), philosophers, artists (such as Alton Kelley), poets (such as Allen Cohen), apartment-dwellers, panhandlers, and even future CEOs of companies such as Pepsi, the Gap, Smith-Hawken, Lotus, and Rolling Stone magazine. 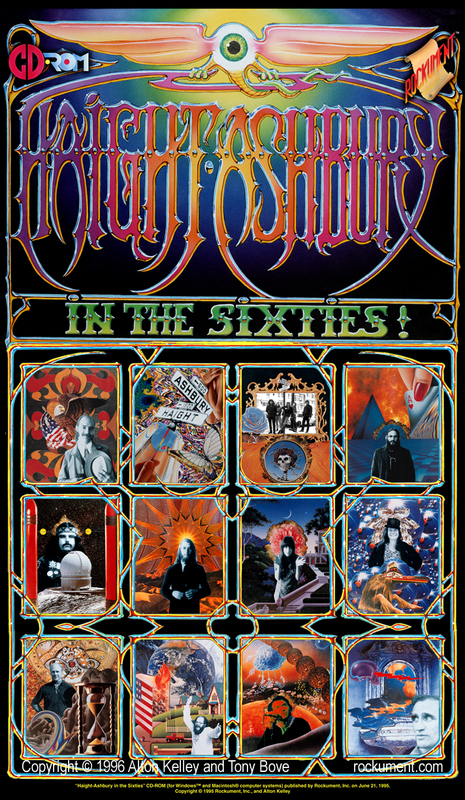 The efforts of the pioneers in the Haight-Ashbury to create an enlightened community took about two years, from 1964-66, to reach the flashpoint, and during those years the music reached an artistic high point. By the end, two years before Woodstock and Altamont, overcrowding and the negative reaction of police and the San Francisco city government combined to make life in the Haight miserable for everyone. Still, the experience of enlightenment had left a lasting impression on the minds and hearts of those who participated in the “hippie scene” either in the Haight or in far-flung communities that sprouted from Be-Ins and the acid-tinged philosophers such as Dr. Timothy Leary. The experience, like acid, reached a peak, then subsided, leaving everyone bewildered and changed for life. The music of the Haight-Ashbury is special for me. I grew up in the Sixties, and some of these artists and musicians were my heroes, in the true meaning of the term. They stuck their necks out and risked everything to bring us this music. The Haight-Ashbury’s music scene thrived and continues to shine like a beacon of the psychedelic age, as everyone now knows the music of the Grateful Dead, the Jefferson Airplane, Big Brother and the Holding Company with Janis Joplin, Quicksilver, the Steve Miller Band, and friends from Berkeley including Creedence Clearwater Revival and Country Joe and the Fish, and many other lesser-known but amazingly talented bands. And just about all of them owe their existence to the legendary, nearly-forgotten, first acid-rock-western band, the Charlatans. The first rock poster was drawn by George Hunter and Mike Ferguson of the Charlatans for their shows at the Red Dog Saloon. Wes Wilson, a printer and artist, developed many of the motifs of the early posters along with Alton Kelley, Stanley Mouse, Victor Moscoso and Rick Griffin. Many of the poster artists cranked out poster and handbill designs quickly for hastily-scheduled concerts at the Fillmore and Avalon ballrooms. 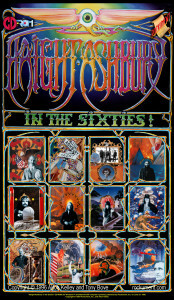 And yet, despite (or perhaps due to) the quick work and druggy atmosphere, the poster art of this period represented the pinnacle of 20th Century poster art, and the innovations inspired a cascade of rock posters and concert handbills produced all over the country by many brilliant artists. Overall Copyright © 1996-2018 by Tony Bove (for Rockument.com). Individual art, music, and video clips are copyrighted by their respective owners. Images by Alton Kelley and Tony Bove.